suggestions for coil springs ? Topic: suggestions for coil springs ? I have a other question. I think I need to replace my coil springs on the front axle. Now I'm searching for a good balance between durability and price. Additional I will need international shipping. Re: suggestions for coil springs ? Oliver, Rick1985 is very knowledgeable about coils, leafs and air bags (if applicable) and very helpful. I am sure he will answer you when he is able. Oliver, check out SD springs on line, good prices and good people. 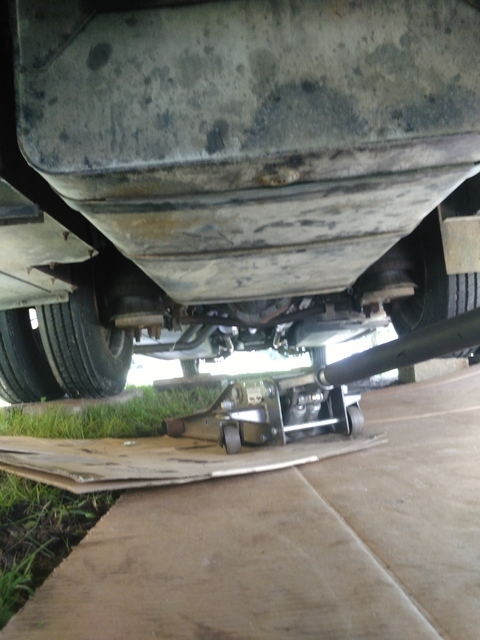 Oliver, I have used Stengal Bros. http://www.stengelbros.com/ and Michigan Spring https://www.truckspring.com/ for my springs. I have never used SD, https://www.sdtrucksprings.com/ but I am sure their prices are in line with the others. I used the extra heavy duty springs in the front of mine so that I could do away with the air bags and found that while the springs did not bottom out like the old originals did it still rides better with 40lbs. of air in new air bags in the springs. These springs are quite heavy so shipping overseas is going to be really expensive. I will look back through my posts and I should have the part number I used on mine in here somewhere. I checked Stengal Bros and I will be around 400$ for springs airbags and shipping. This is ok for me because it is less than the half here in Germany. That is a very good price, is that for the extra heavy duty springs? You do not want the original weight springs, they were not strong enough from the beginning. Here are some links for you from when I did mine, I got my springs from Stengal and they were the SD springs. Here is another thread related to installing them and ride height. Frank, They may be the original lighter duty springs and are basically used on the 26 foot and under. They were originally used on the bigger motor homes but we can see the end results. The ones he is talking about are the same ones I think I put on mine but it looks like the number has changed. Oliver, I can call them on Monday and see if that is the set they recommend for your unit if you like. this would be nice. I think I will the springs and the air bags. Here it is sometimes a little stupid with the safety inspection. You need to have everything like stock. If that is the case I have to ask what kind of rear suspension do you have? 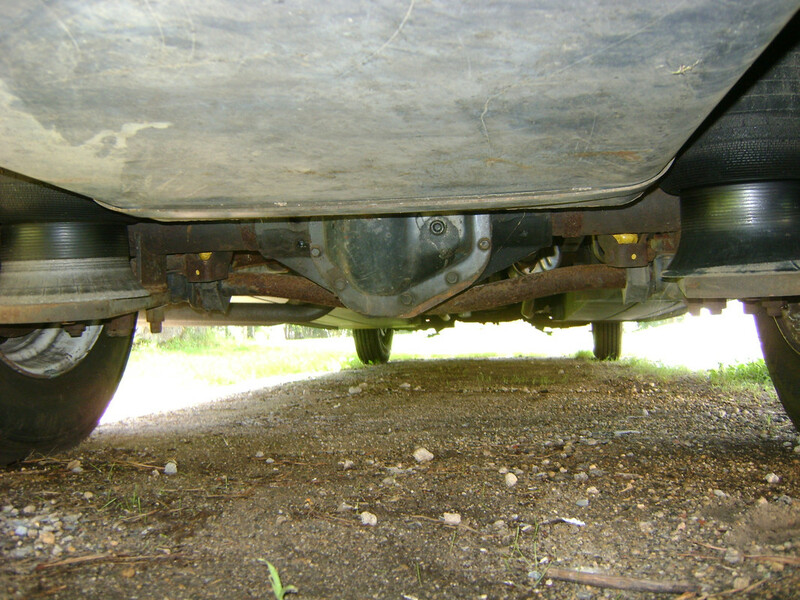 Winnebago put many different kinds of rear suspensions on these units and with the exception of the leaf spring suspension none of the other types were stock. The Jet Ride air suspension was a Winnebago only setup so that is about as far from stock as you can get so if you have that you may be in trouble. Better check before spending the money on the front springs. And "Stock" for a P30 would not have the air bags in the springs. They were commonly used by the coach manufacturer though. So I guess it comes down to Stock for the chassis manufacturer or stack for the coach manufacturer? I would think the chassis since that is where the safety part of it is. in the rear is coach spring (I hope the correct translation) with airbags on the top of the axle. I think in the front Winnebargo put the airbags in. If the springs go from front all the way under the axle and to rear mounting points then that is the factory GM suspension. Mine has the Jet Air ride suspension and while it is a nice ride it can be problematic. Just in the last few weeks I have noticed that it leaks down pretty quickly just about setting the rear bumper on the ground which means I have a nightmare of a job coming up of replacing all of the air lines. 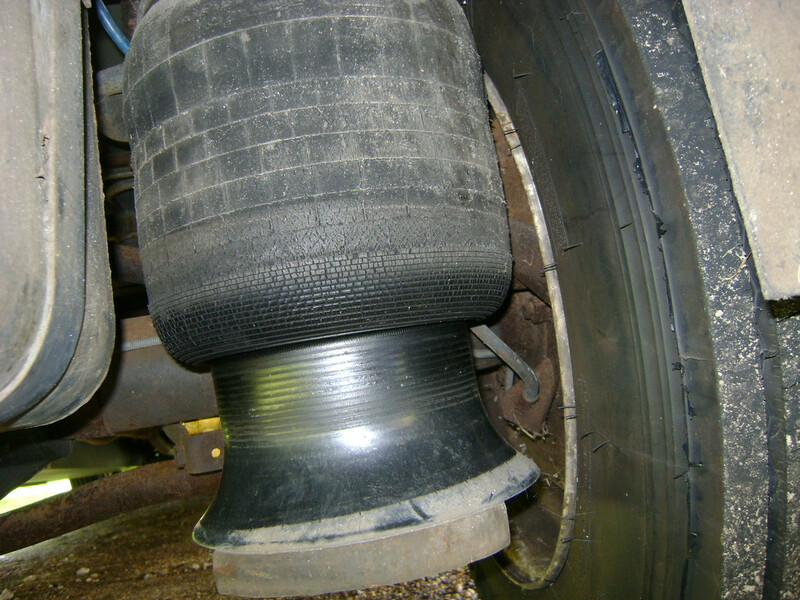 This is what the air ride suspension looks like. the bottom two picture were taken with the bags pumped all the way up so I had room to work under there. The close up of the bag is before I replaced them with new ones. Oliver, I just got off the phone with Stengal and they verified that the SD springs and the 81560 air bags are what you need. my rear axle looks different. I would like to this kind of supension.